EXCLUSIVE! 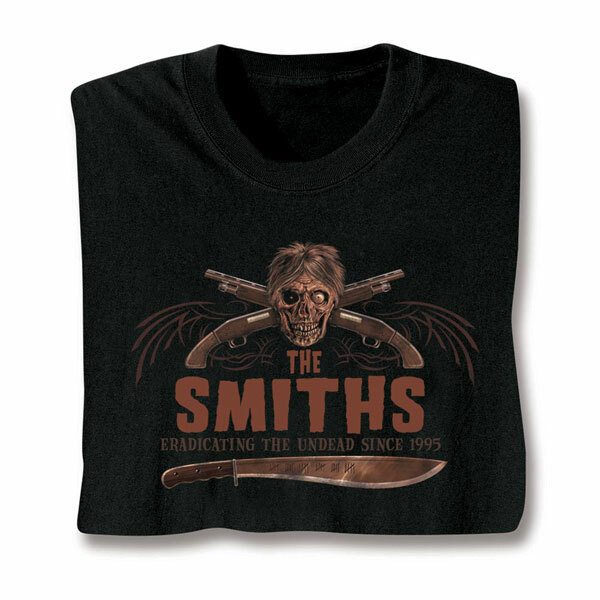 For zombie enthusiasts who've veraciously studied the art of zombie slaying, now it's time to don your personalized zombie killing shirt and do what you were meant to do. Fun as a customized gift or as Halloween garb for the whole family. T-shirts are 100% cotton, sweatshirts are a 50-50 cotton/poly blend. Imported shirts. Printing in the USA. Machine wash. M-XXL. Black color.